I was working on my Porsche 944 yesterday, replacing a few trim bits and installing new hood struts. I was working on my Porsche 944 yesterday, replacing a few trim bits and installing new hood struts. I needed a small screwdriver to install something so I popped into the garage to grab one and when I got back this was what I saw. 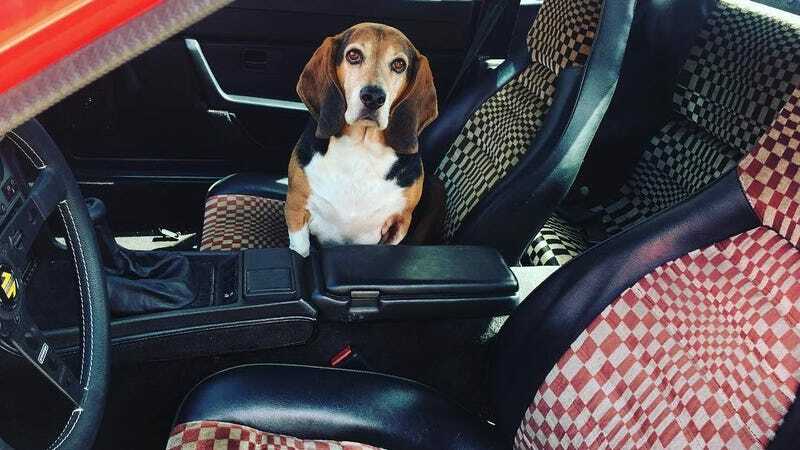 Big Henry, our beagle/basset hound mix decided it was time to go for a ride. I can’t say no to that face. Crank up the tunes, Hank. Let’s roll.